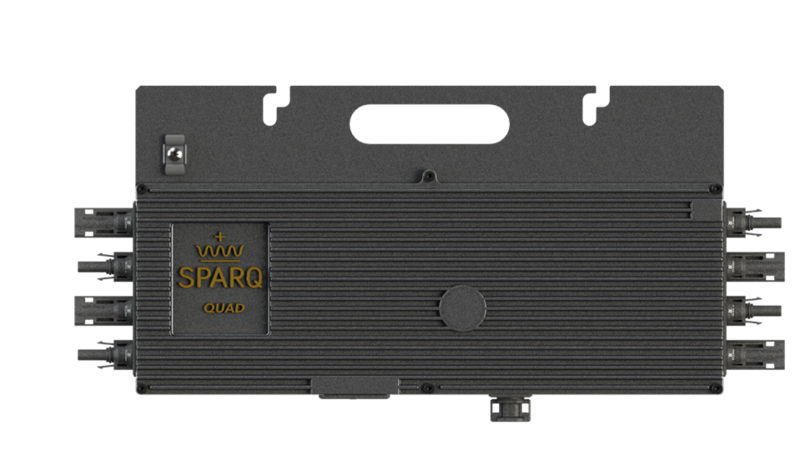 Sparq Systems designs and builds next-generation U.S. MADE solar microinverters that are the first to combine advanced grid capabilities and long-life components into a highly robust and low-cost platform. Made in the USA, the Q1000 four-port microinverter independently maximizes the energy harvest from four solar panels, converting it into a smooth and stable AC output within a compact 1000-Watt footprint. Quick and easy to install and commission, the Q1000 incorporates patented digital controls and smart grid interoperability that are highly reliable and contribute to grid stability. The Q1000′s durable components -free of electrolytic capacitors allows the Q1000 to withstand the tests of time and weather. 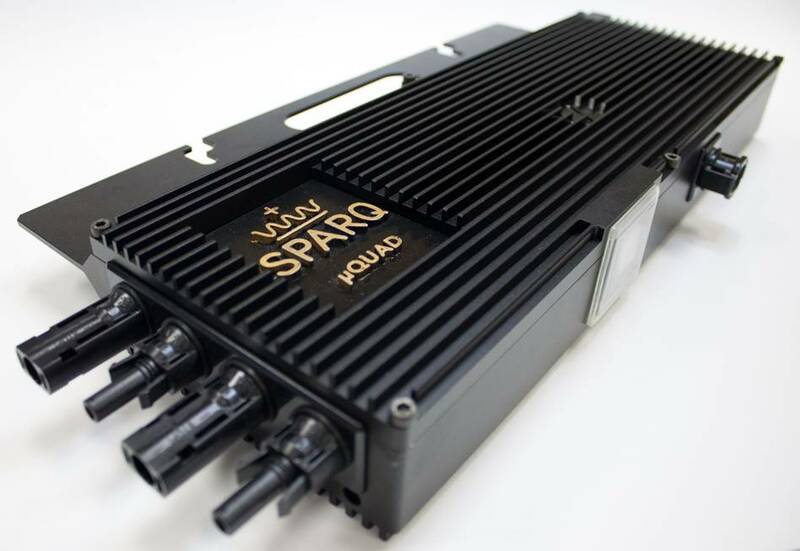 Sparq Systems’ origins come from the advanced research conducted at ePOWER, the Centre for Energy and Power Electronics Research at Queen’s University in Kingston, Ontario, Canada. 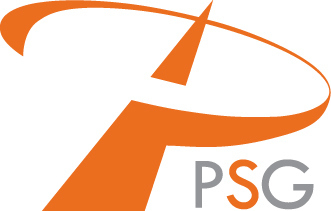 Led by IEEE Fellow and ePOWER Director Dr. Praveen Jain, Sparq Systems has successfully combined the efforts of some of the world’s most forward-thinking power conversion engineers to yield a highly efficient, compact, and versatile power conversion platform embodied in the Sparq Systems portfolio. 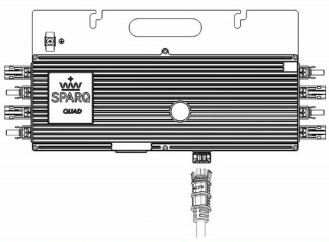 The solutions conceived and built by Sparq Systems are underpinned by over 50 granted and pending patents that have resulted from Dr. Jain’s applied research and development work. -Tier 1 manufacturing, Built in America. 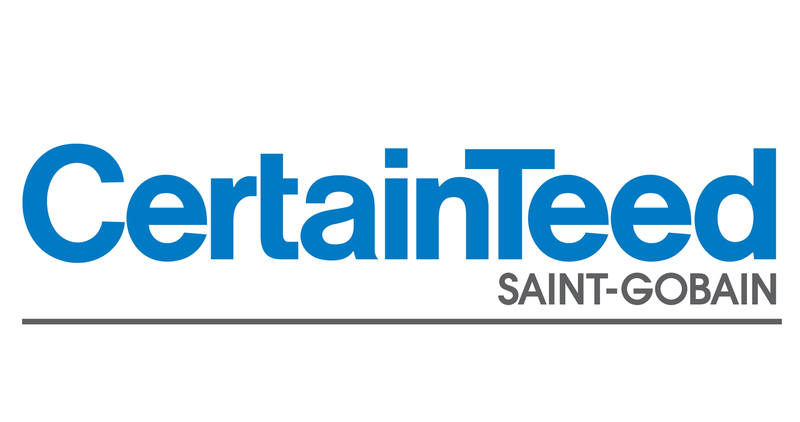 -HALT / Reliability Verification / HASS Testing based on programs used in Space, Telecom, Automotive. 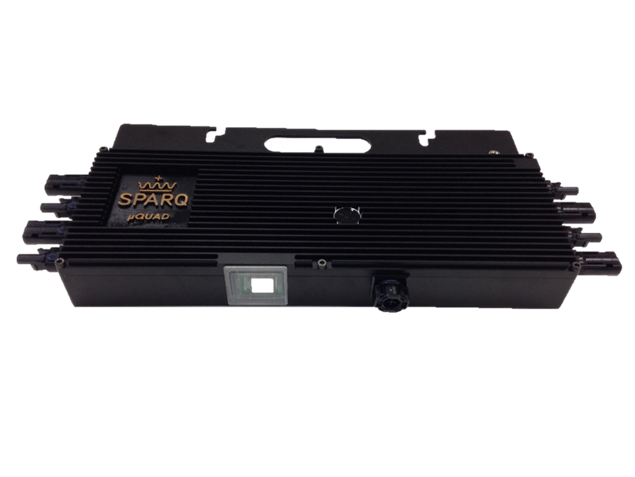 -Sparq’s microinverter is at a cost rivaling those of power optimizers, and below other microinverters in the market. -Ultra long-life design, free of electrolytic capacitors. Electrolytic capacitors used in the majority of microinverters are well-known to have a shorter lifespan (7-10 years). -All aluminum and steel enclosure construction, no thermal cycling and heat dissipation issues. 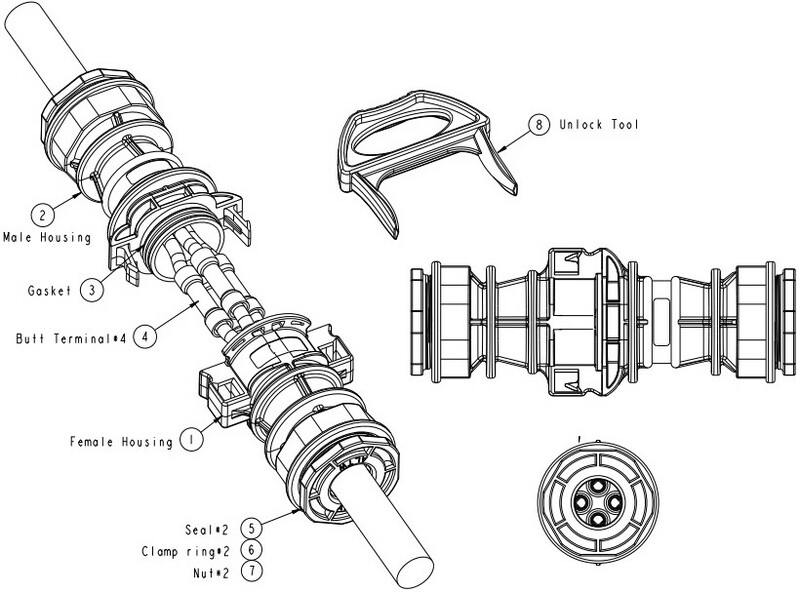 -Design using a licensed portfolio of GE applied and granted patents. -Partnered with GE Global Research on the construction of the next-generation microinverter system -Q1000 and AC Module solution. -Inputs from 4 modules while still delivering individual precise MPPT. 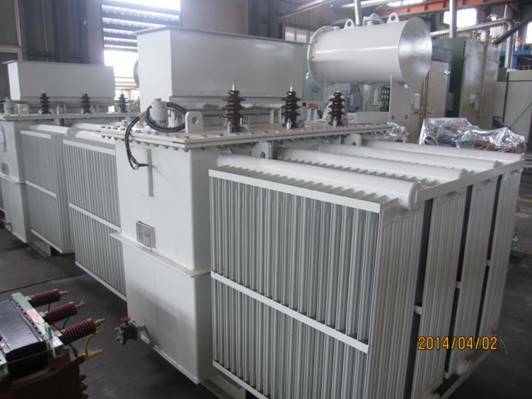 -Total DC input capacity of up to 1.104 kW without power cutoff. -Compatible with 60 Cell and 72 Cell Solar Panels. -Arc-fault requirement compliant, and rapid shut-down ready. -Ultra-low startup, with early startup harvesting in the day/ shutdown voltage and patented per-panel MPPT maximize power harvest. -Patented high-speed design that starts harvesting early in the day. -Precise MPPT from individual panels, no big capacitors. -No “burst mode” – energy production is smooth and continuous. -Two-stage power conversion approach, with the first stage concentrating on PV module energy harvest and buffering the rest of the power conversion process from a continuously-variable DC voltage and current supply. -Uses advanced high frequency input power sampling methods and a digital control plane to closely track each connected PV module’s dynamically-moving maximum power point over a comparatively very wide range of voltages and currents, combining and converting four maximized DC power streams into a single, stable, and synchronized AC output. -Does not suffer from DC wire losses incurred by DC power optimizers that must be connected in series and typically need long wire runs back to a centrally-located inverter. -DC to AC conversion at output close to the nameplate power rating of the solar module. 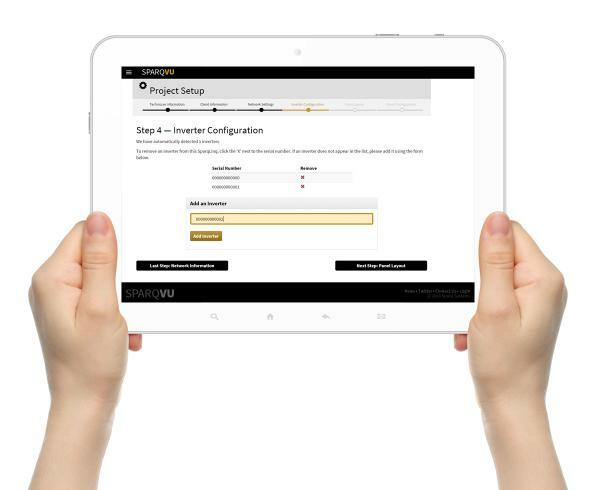 -Control-ready, SparLinq Gateway supports remote control capability for the power utility. -Programmable (extendable voltage and frequency HZ range) to match grid profile of local grids. -Each unit is WiFi monitoring ready with individual panel power production and temperature monitoring. 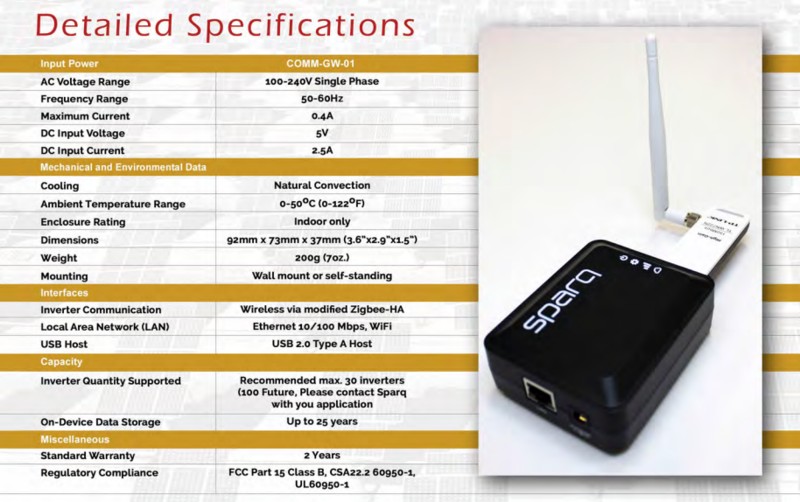 -SparqLinq wireless -self-sensing and self-healing Zigbee-HA mesh protocol system. -Sparqlinq monitoring allows for provisioning to start as soon as the first module is plugged in, no more waiting for the AC to be turned on to start the process. -Sparqlinq displays Real-Time metrics and stores historical information for the life of your system. 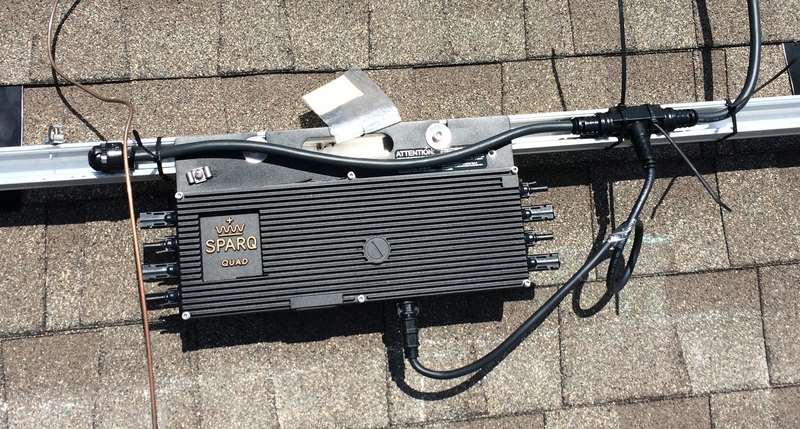 -Sparqlinq allows for automatic detection of connected inverters means quick and painless installation BEFORE the AC is connected. -Lifetime monitoring included with Sparqlinq Gateway and SparqVu. -Physical smart grid connect indication system. -One Quad unit for every four panels. Fewer units, fewer connections, fast ZigBee communications. -Plug and play option for single microinverter direct – AC Direct Cabling System. -Plug and play option for AC Whip Cabling System. -No need for separate AC aggregator. -No need for additional microinverter mounting plate. -No solar panel frame mount required . -Each Q1000 unit is WiFi monitoring ready, with individual panel power production and temperature monitoring.